An elegant baroque jewel, whimsical yet refined. 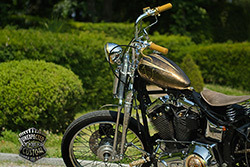 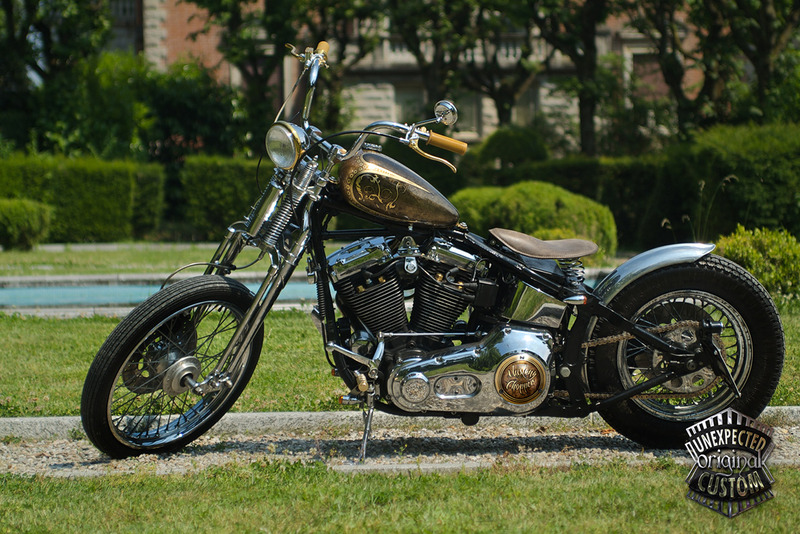 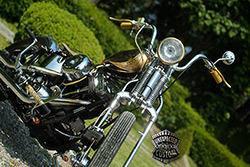 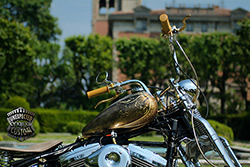 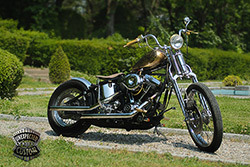 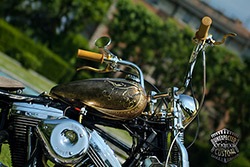 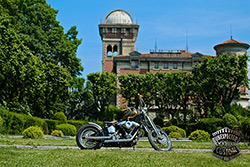 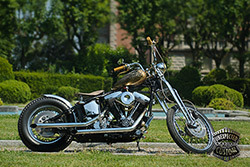 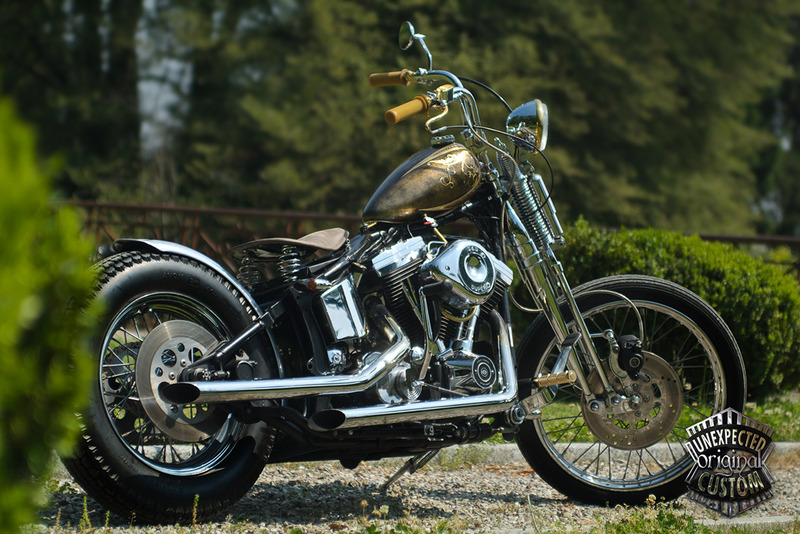 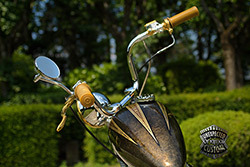 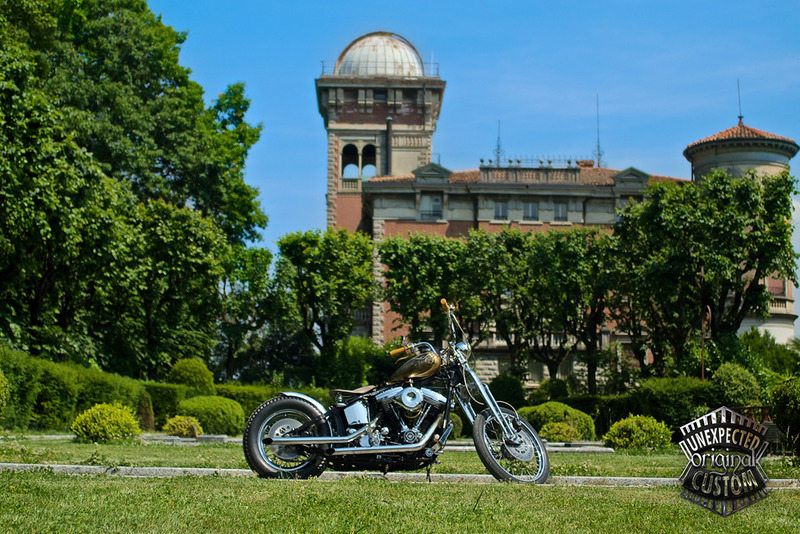 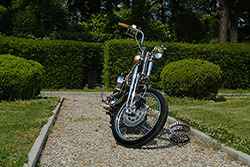 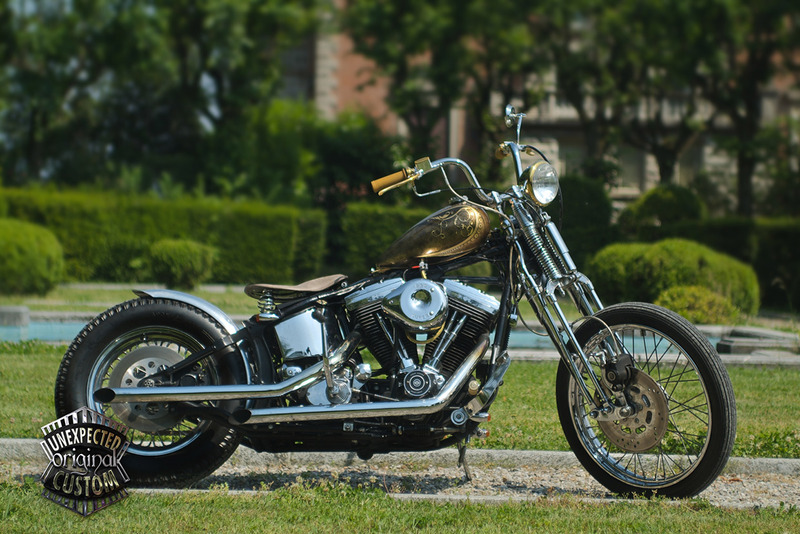 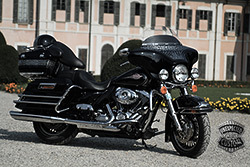 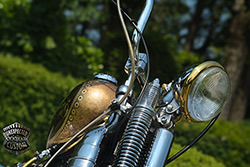 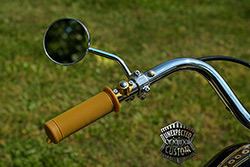 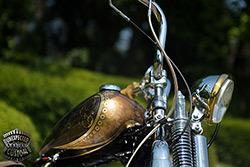 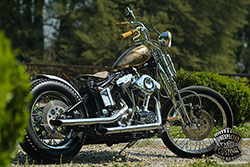 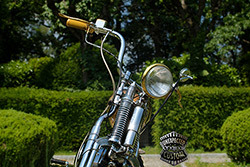 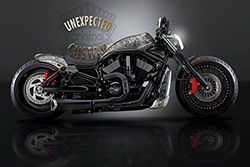 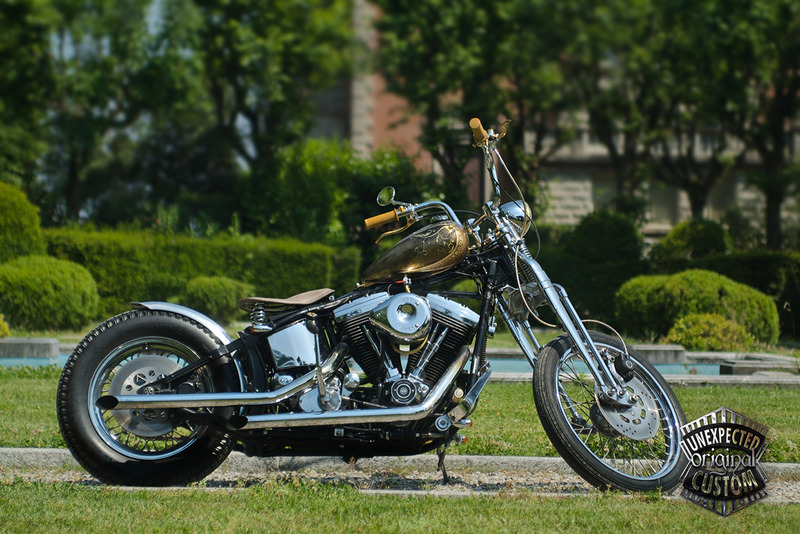 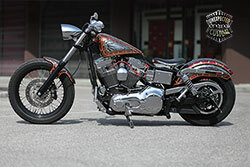 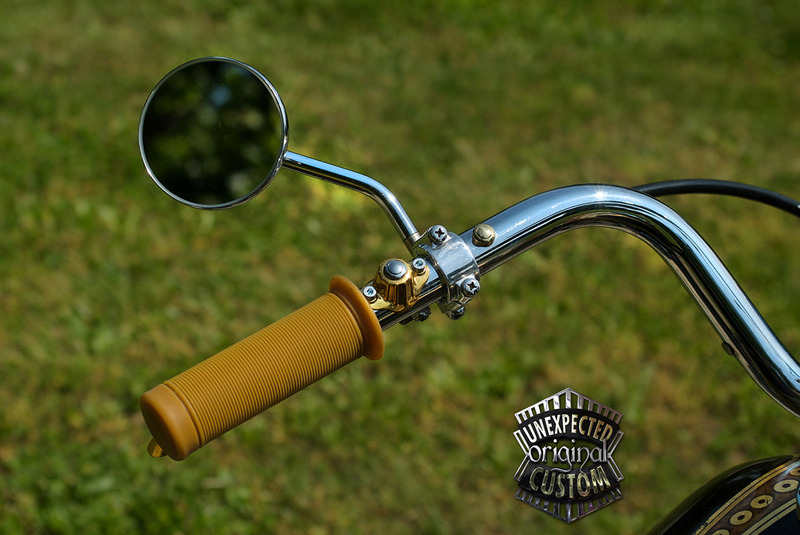 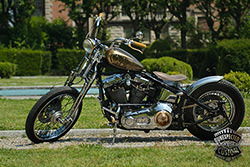 The Mustang tank type, minimal in its elegant and simple teardrop shape, is the center that characterizes this Harley-Davidson turned into an agile and lively race horse. 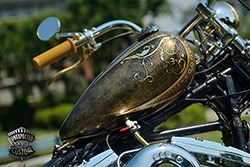 The tank, as well the primary cover disk, is completely covered in gold leaf and worked by 'venetian plaster' and a few shades of clouds airbrushed metallic colors. 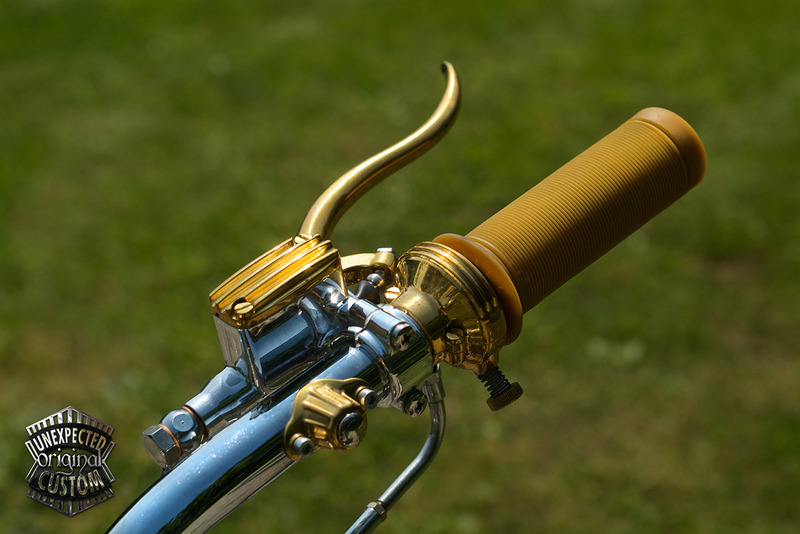 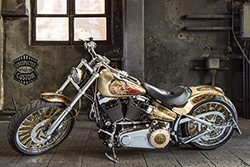 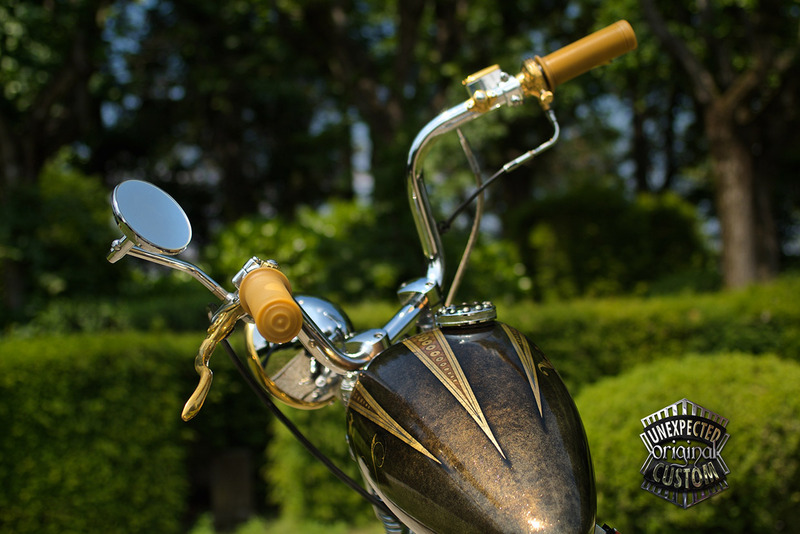 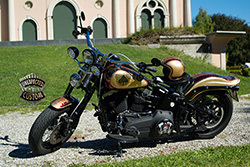 The leather tones of the saddle, the bronze shades of artwork, upon which stand out the seventeenth century gold volutes, are recalled with sophisticated refinement by the gold plating small details in opposition to the cold shine of chrome steel color.